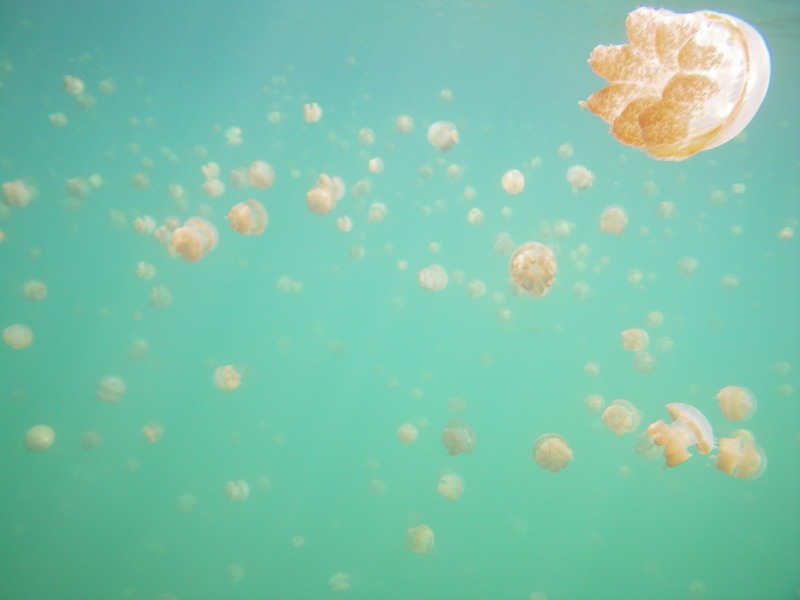 In Koror, a small island kingdom in the Pacific, there’s a jellyfish lake. Its water is warm and murky, and gliding in feels like stepping into a warm bath. Peering below the surface of the water, it takes a few seconds to comprehend the other worldliness of the scene. Pulsating everywhere around are millions…literally millions…. of jellyfish. They throb and glide through the water in a psychedelic spiral wave, constantly appearing and then disappearing into the cloudy water beyond. Little alien brains on a mission for light. It takes a leap of faith to reach out and touch the first one. 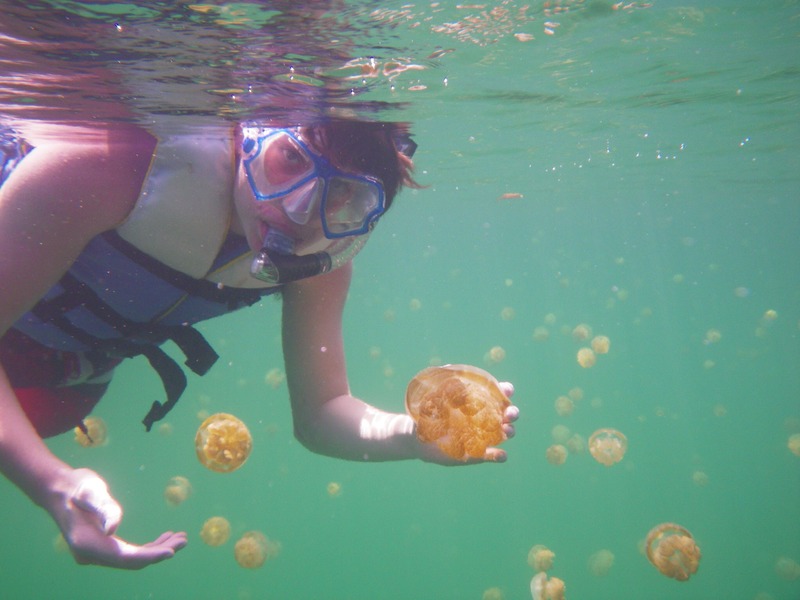 I picked a very small jellyfish at first, just to be safe. Oh, the fear! It brushed my fingers and I flinched. But, just as promised, there was no sting. Then, feeling braver, I reached out and touched a larger one. Scooped in my hand, it felt fragile and vulnerable, and suddenly seemed all it really was- just a lump of jelly. Wow! So cool! I’d never heard of something like this. They’re so beautiful – thanks for sharing. Neither had I! Turns out they had no natural predators in the secluded lake and evolved to have no sting.